WASHINGTON (December 3, 2018) – The U.S. Department of Commerce’s Minority Business Development Agency (MBDA), is announcing grant awards of nearly $2 million to four Historically Black Colleges and Universities (HBCUs). In June 2018, MBDA invited HBCUs to propose projects that will achieve one or more of the following objectives: increase their ability to compete for and receive Federal research and development funds; establish partnerships with Federal laboratories and other technology resources; increase Science, Technology, Engineering, and Mathematics (STEM) entrepreneurship; and compete for Federal contracts. Clark Atlanta University ($499,497) to develop a STEM entrepreneurship curriculum that increases student interest in the innovation economy at three Atlanta University Center Consortium campuses. Howard University ($359,891) to design a technical support model for 11 HBCUs in the mid-Atlantic region to compete for Federal research and development funds and leverage partnerships with Federal laboratories. South Carolina State University ($404,992) to launch regional training sessions for HBCUs to compete for Federal research and development funds. Tougaloo College ($695,412) to establish a partnership among multiple HBCUs, private companies, federal labs, and research institutions to increase capacity for HBCUs to participate in federal research and contracting opportunities. These programs are part of the 2018 MBDA Broad Agency Announcement, a new initiative this year. More than $13 million was awarded for 35 projects focused on Department of Commerce and MBDA priorities from resources that increase disaster preparedness and relief to programs that increase access to capital. For a full listing of MBDA’s 2018 grant awards, visit http://www.mbda.gov/news. In 2018 the U.S. Commercial Service will host Virtual Education Fairs in several international markets to provide a venue for U.S. institutions to present their schools to the most reputable and best performing agents in those nations. Using web conferencing technology, your school will have the opportunity to conduct a 10 minute presentation via PowerPoint to an audience of at least 10 top agents from the targeted country. Each Virtual Education Fair is limited to six appropriately accredited U.S. private high schools, boarding schools and 4-year colleges and universities. Don’t miss these opportunities to connect with international education agents and recruiters from the comfort of your office! AICC Madagascar branch and the Madagascar Youth for Development Association held a joint meeting. September 30, 2017, the AICC, American International Chamber of Commerce Madagascar branch and the Madagascar Youth for Development Association held a joint meeting. “Malagasy Youth for Development Y4D” is an association which regroup malagasy young people in Madagascar island. The association has its representant in 22 regions of Madagascar and has thousands of members. 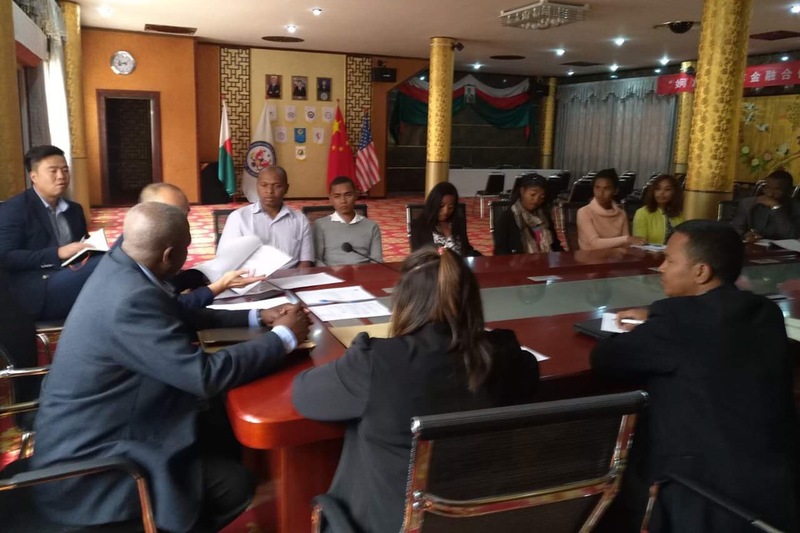 According to Y4D member boards in national and regional levels, they have decided to have partnership with the American International Chambre of Commerce branch of Madagascar. 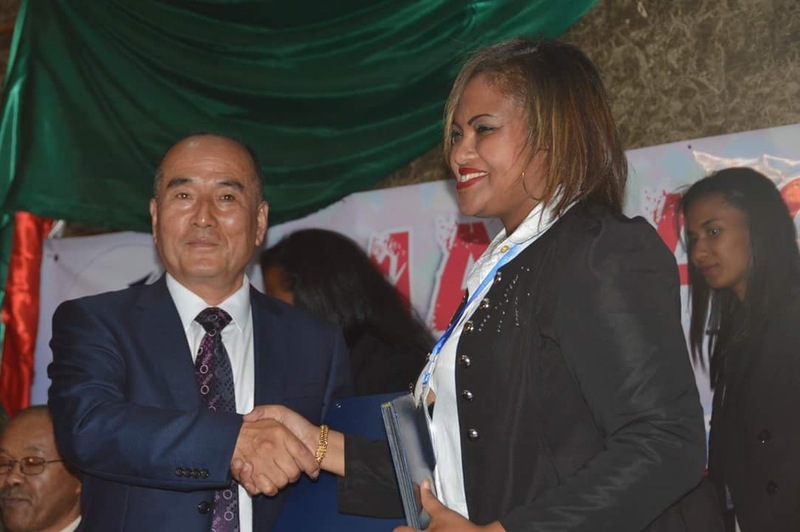 They have asked Mr José RAMAHERISON to be the Honor President of the Malagasy youth for Development association. 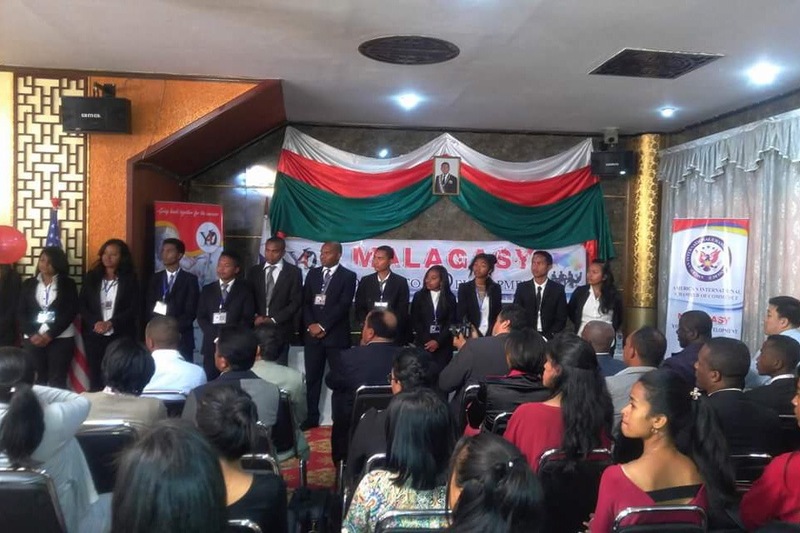 The AICC Madagascar is helping Malagasy youth. 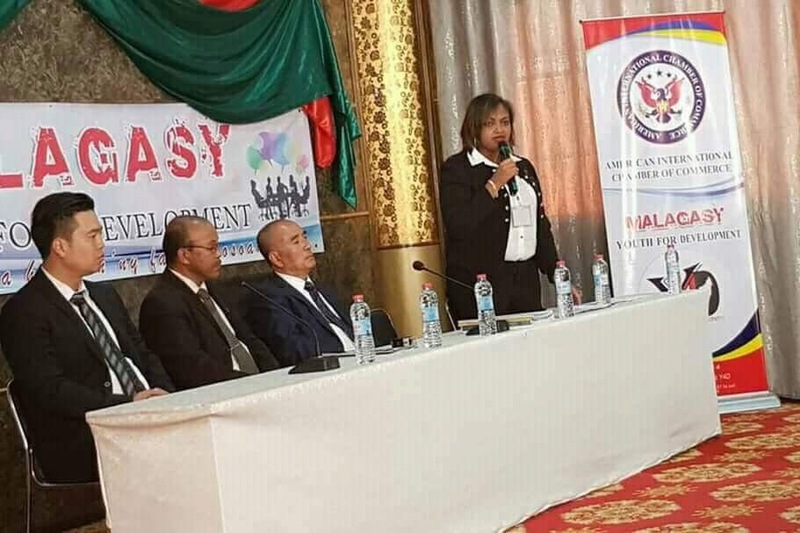 The development comes from youth, So the reason why AICC Madagascar gave an office, a meeting room and materials and furnitures to Malagasy Y4D association. Is your school interested in recruiting more students from Sub-Sahara Africa? If you seek to diversify your student body, increase enrollment and want more information about how to connect with students from West Africa, this webinar is for you. Learn from the US Commercial Service and EducationUSA specialists about higher education systems, current market trends and typical student profiles from Nigeria and Ghana. Find out what opportunities are available for U.S higher education institutions, including the upcoming Education Recruitment Tours to Nigeria and Ghana in September 2017. This market is the largest country in Sub-Saharan Africa, both in terms of the economy and the population. One-fifth of Nigeria’s population is between the ages of 15 and 24, creating significant demand for higher education opportunities. As the demand cannot be met domestically, students are searching for international opportunities. Education fairs will be held in both Abuja and Lagos, Nigeria. Ghana has experienced a decade of sustained economic growth, and its education expenditure relative to income is double the average for the African continent. These factors, coupled with the fact that English is the primary language of instruction, sets Ghana as the second largest sender of students to the United States. U.S. schools will participate in an education fair in Accra, in addition briefings, meetings, and networking events. UNESCO presented its frameworks for competencies and learning objectives for Education for Sustainable Development (ESD) and Global Citizenship Education (GCED) at the 4th meeting of the informal working groups of the “Future of Education and Skills: Education 2030” programme by OECD. It was held in Beijing from 9 to 10 November 2016. The meeting brought together more than 100 policy makers, experts, school networks and social partners. It was held back to back with a special symposium with systems and global thought leaders. The events were hosted by the National Institute of Educational Sciences (NIES) in Beijing, China, in cooperation with Tsinghua University from 9 to 11 November 2016. Participants welcomed the OECD’s new conceptual learning framework “Learning Compass 2030” with which students should be able to navigate in time and social space and shape the future for their own and others’ well-being. Policy makers supported some common design principles. Some of the conclusions were that even where education remains true to the disciplines, it needs to aim at interdisciplinary learning and the capacity of students to see problems through multiple lenses. In an uncertain and volatile world, learning should focus on what has the highest transfer value, and on knowledge of disciplines with deep understanding about the disciplines, according to the meeting outcomes. To date, 19 countries are taking part in the policy analysis on curriculum, with an aim to facilitate peer-learning as well as to build a knowledge base and develop tools for countries to draw on when re-designing their curriculum. The project welcomes interested countries and stakeholders to contribute to the project. Once again hundreds of business professionals, developers, and investors will gather for an afternoon of insight and networking. Santa Ana is hitting the GROW button-the thriving cultural and urban center of the OC! The UN Global Compact invites you to Dubai for a series of events as part of our Making Global Goals Local Business campaign, where we will bring together leaders across sectors to explore the transformative platforms and partnerships needed to advance the Sustainable Development Goals (SDGs) on the ground. In Dubai, over 600 participants from business, civil society, government, the UN and Global Compact Local Networks will focus on moving from awareness to action, showing that companies that do business responsibly and find opportunities to innovate around the SDGs will be the market leaders of tomorrow.